Yamazaki is a Japan-based homeware design company started over 100 years ago as a family operation. It has that simple but very intelligent design which brings creativity to everyday items, so the simplicity makes the design shine through. We love how these pieces will fit into any home ………..
Increase the storage space in your home with the Yamazaki Tower Hanger Rack. 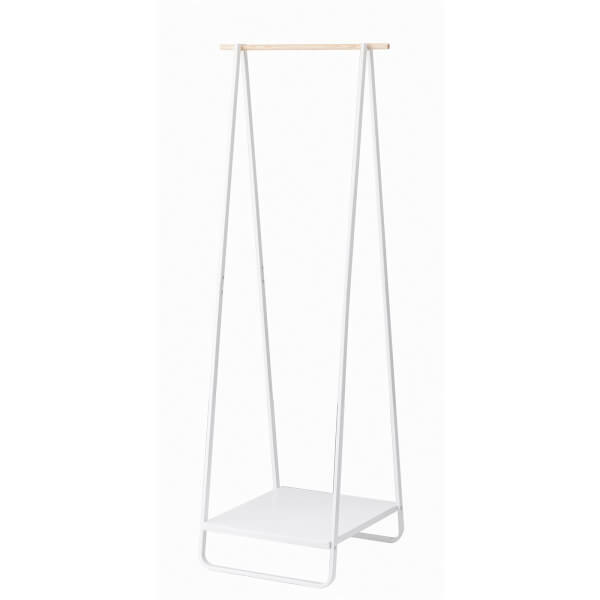 Designed in Japan, the sturdy rack, made from steel and wood is ideal for hanging coats, as a drying rack, or in a guest room. 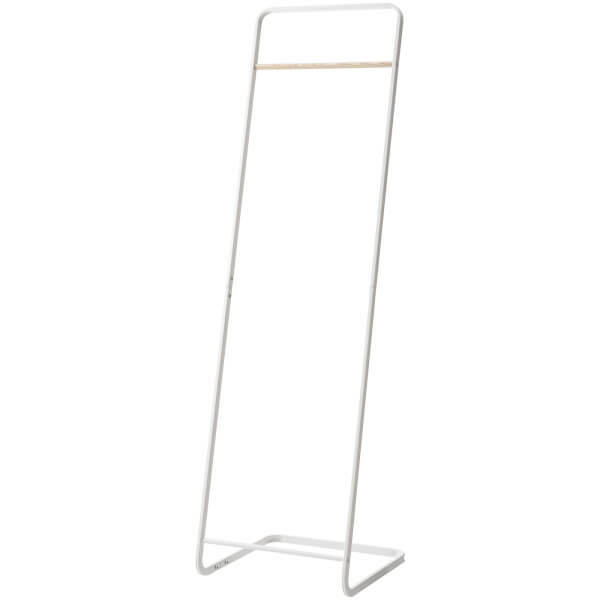 A base shelf offers additional storage for bags, shoes or storage boxes. 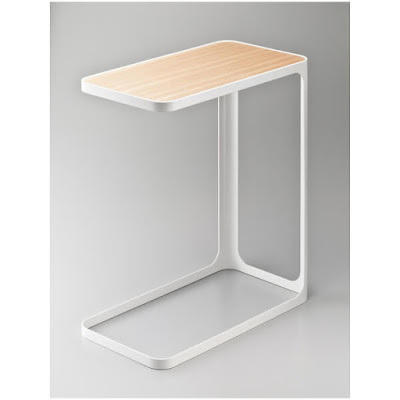 The Yamazaki Frame Side Table is a space saving and compact table that is ideal for use in a living room or bedroom. With a small footprint, the table will slide neatly under a sofa or bed to maximise your space further. Designed in Japan, the sturdy side table, crafted with a wooden surface and a steel frame, will complement any contemporary interior. 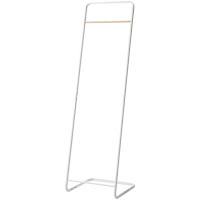 Save on wardrobe space with the Yamazaki Tower Coat Hanger. Minimalist in design, the useful hanger is ideal for use as a drying rack, coat rack, or in a guest room when space is of a premium. The sturdy hanger, made from steel and wood, folds up compactly when not in use. 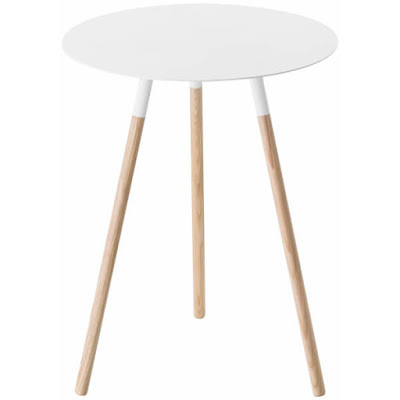 The circular Yamazaki Plain Side Table, designed with natural simplicity in Japan. Multi-functional, the side table will bring an elegant and functional look to a living room or bedroom. Featuring a white metal table top with slim wooden legs, the compact table is ideal for use where space is of a premium. 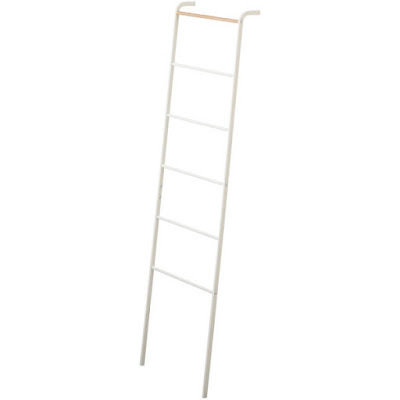 The Yamazaki Tower Leaning Ladder Hanger is an elegant hanging organiser that will look contemporary and stylish in any room. Ideal for items such as scarves, towels, blankets, belts and small bags. The clever design, fashioned like a ladder, stands up against a wall and has a useful storage capacity that will encourage organisation and tidiness in your home. The Yamazaki Tosca Accessory Trays and Mirror, designed in Japan, combines two functions in one handy piece. 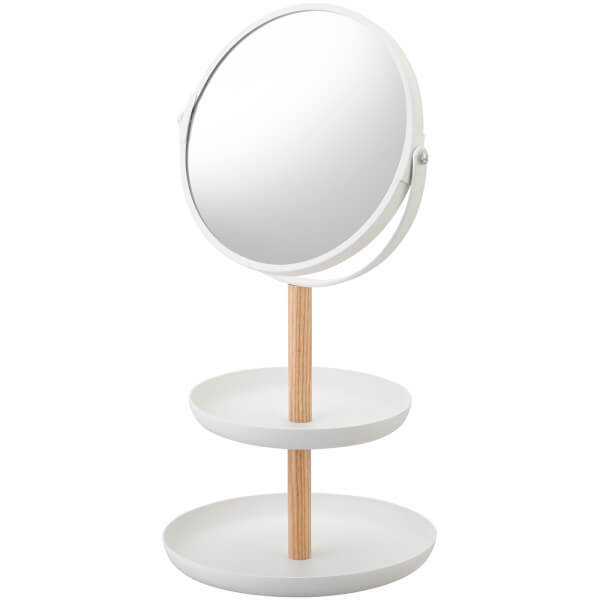 Featuring a 3 x magnification mirror and two storage trays for all your little bits and pieces, the Tosca Accessory Tray will keep to keep your dressing table organised. Display your fruit in the stunning Tower Fruit Bowl from Japanese designers Yamazaki. 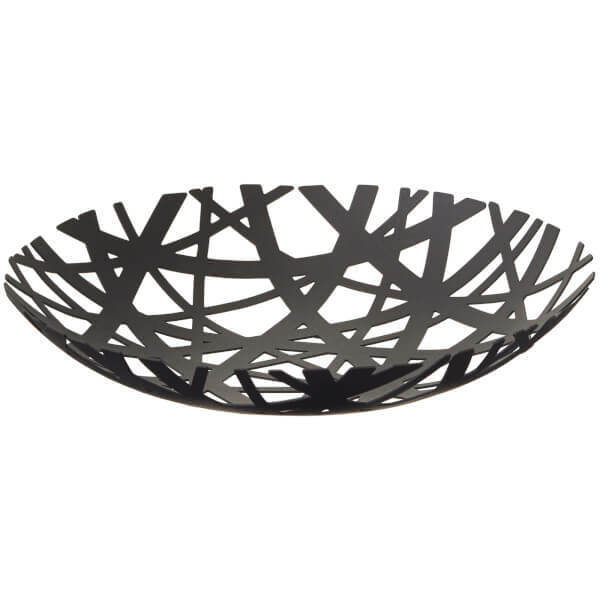 Crafted from painted steel, the contemporary design will add a decorative accent to a dining table or kitchen bench and protect your fruit with its airy design.